We listen to you. In your initial visit, you will meet with one of our Elite Certificate* trained clothiers who will guide you through a selection of fabrics, styling and personalization that fits your budget and lifestyle. Thirty-two measurements are taken, including your unique posture and shoulder shape ensuring a perfect fit. This also determines the correct styling for your body and lifestyle. Measurements are then transferred to a paper pattern to create your own individual template. 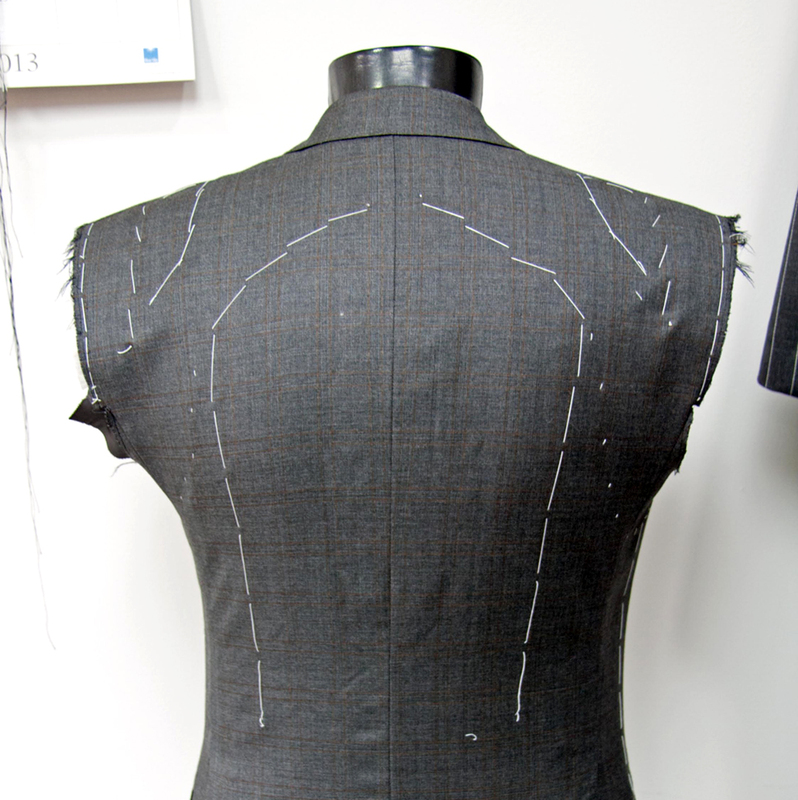 The garment is then individually cut following your pattern. An appointment is set with you for an initial fitting to take care of any minor nips and tucks. Minor adjustments and final pressing are completed and your new custom outfit is ready for you to enjoy. Your pattern is then kept on file for future orders, so that your next garment requires only fabric and style selection. A record is created showing all of your past purchases to assist in your next selections and avoid duplication. It’s that simple. *Elite Certificate – Each member of our staff goes through an intensive training program focused on all aspects of measuring, styling and fitting with an emphasis on current styles that are right for you.